Everyone likes to feel special and welcomes SMS birthday wishes. 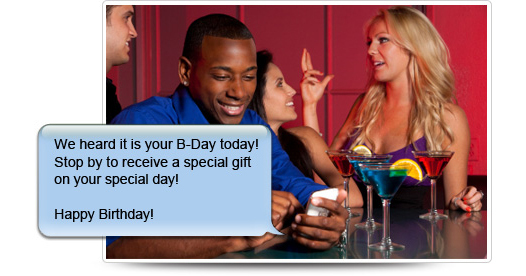 You have the ability to customize the text message and keep in touch with your contacts. As many of the other ProTexting messaging interactive apps, this new app brings you closer to your customers and participants. "It's your Birthday! Come on over to our store to receive your gift!" "Happy Birthday! We have a special gift for a special person!" You can now send birthday wishes to your text messaging participants and remind them that you value them and you are thinking of them. From the contacts list you can input birthday date for each of your participants. You then have the option to activate the "Birthday Wishes" application form the Apps Tab and setup the message and time of day the Birthday Wish should go out. It is all automatic after you set it up, the system will send out birthday wishes to the contacts with birthday info. So what are you waiting! Wish someone a Happy Birthday and brighten their day!